We now come to look in more detail at the actual text of the Spiritual Exercises. This, the best-known of Ignatius’ written works, has many distinctive characteristics. But perhaps the most important is that the Exercises were forged out of Ignatius’ own lived experience. Although revised over many subsequent years, they are the fruit primarily of notes developed during the months at Manresa following his initial conversion. As he subsequently shared his insights with others in spiritual conversation, he gradually shaped these notes into a coherent set of principles, meditations, contemplations and annotations. manual for personal use, much less as a treatise on the spiritual life. 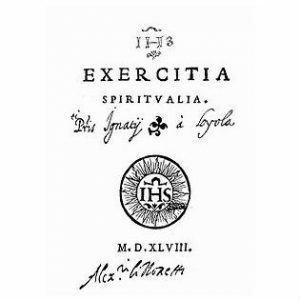 The book of the Spiritual Exercises is primarily intended as a guide to the person who leads or directs another to a deep and lasting conversion towards God in Christ. The “one giving the Exercises” guides the “one receiving them” to reflect deeply on his or her own lived experience in order to discern how and where the Spirit of God may be leading them. But this is no head trip. Ignatius stresses the need to attend to the positive and negative movements in one’s heart. It is in noticing such feelings that one begins to sense, to ‘hear’, God’s voice and thus acquire the courage and strength to respond as God would want. This ‘spiritual discernment’ is the core of the Exercises and of all Ignatius’ teaching about the spiritual life. Another important general dimension is Ignatius’ insistence that the director respect the individual personality, the needs and, above all, the stage of spiritual growth of the one whom he or she is guiding. For this reason, the process involves a one-to-one conversation between the one making the Exercises and the director, reflecting on the former’s experience of where God seems to be leading them especially (but not only) in their times of private prayer. Ideally, the person wishing to make the Exercises withdraws from his or her normal daily activity into an environment where they can live and pray in an atmosphere of profound silence. 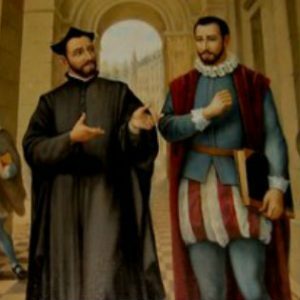 In Paris early in 1534, when Ignatius first began to give the Exercises to his companions, he allowed a month for each. After more than four and a half centuries, it still seems ‘right’ to allow about thirty days for this process. Ignatius also provides for the possibility of ‘making the Exercises in daily life’. Instead of an intensive period of five hours’ daily prayer over thirty days, the process is spread out over about a year, or however long it takes the individual, and with the person maintaining her or his normal circumstances. Meetings with the director, once or twice a fortnight, consist of reflection together on the movement of the Spirit in the daily hour of contemplation. This directive is commonly referred to as the Nineteenth Annotation. In addition to the actual ‘exercises’ Ignatius gives a series of ‘annotations’, helps and adaptations which attest to the importance he placed on flexibility and respect for the individual. The Annotations are to be found at the very beginning of the text of the Spiritual Exercise. As well as the ‘annotations’, Ignatius provides a number of ‘additions’. Their purpose is best described by Ignatius’ own sub-title: ‘To Make the Exercises Better’ (The Spiritual Exercises, #73). A very helpful expansion of this phrase is provided in this quote from an article with this title by B. Grogan. The purpose of the additions is to mobilize the whole person in the search for the divine will. Ignatius had a comprehensive view of humanity: body, imagination, mind, senses, feeling and will were all brought into play to reach the goal of the Exercises. The quest for God’s will is not limited to formal periods of prayer but extends throughout the day…. Ignatius considers them important: ‘All ten additions are to be observed with great care’ (SpExx 73). Observance of the Additions expresses the retreatant’s seriousness of purpose and willingness to co-operate with God. One of Ignatius’ greatest insights, spiritual and psychological, was to recognise a pattern in the way God touches the lives of men and women and evokes their response. In spite of his insistence on the importance of adapting the Exercises, he recognizes a striking commonality in the stages through which God leads people from initial awareness and conversion to ever deeper levels of relationship. Having passed through these stages at an elementary level in the initial experience of the Exercises, a person builds on this throughout their lives by repeating the pattern but at an ever deeper level of spiritual intimacy. The great mystics speak of such stages using a variety of images. Teresa of Avila, who was herself encouraged in her contemplative prayer by the Jesuit Francis Borgia (1555), describes the movement as a journey through several mansions into ‘the interior castle’. Beginning (as does Ignatius but using different language) with an awareness of the greatness and goodness of God, she speaks of a movement from radical conversion through fidelity to prayer, and ultimately towards the highest union with God. 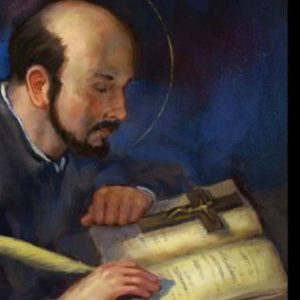 Ignatius’s unique gift was to ground such profound theology in real human experience, beginning with his own. • a concluding period of consolation in the presence of the risen Lord and gratitude for the great gifts we have received from his love. Another way of describing this movement is growth into spiritual freedom. It is important at the outset to recognise that ultimately this is not primarily a movement FROM, but a movement FOR. Nevertheless, it includes, especially during the first ‘week’, that we pray to be released from our ‘unfreedoms’, those things that hold us back from God and prevent us moving forward in our spiritual journey. In a real sense, such freedom is the goal and pervasive theme of the Spiritual Exercises. There are very few people who realise what God would make of them if they abandoned themselves into his hands and let themselves be formed by his grace. Underlying this, and indeed the whole experience of the Exercises, is the absolutely necessary grace that a person be deeply convinced, heart and soul, of God’s unconditional, personal love for them. Father Arrupe has been called “The Second Founder” of the Society of Jesus. Confronted by momentous world events that helped shape his interior life, Arrupe was chosen to lead the Jesuits through a tumultuous period of ecclesial and cultural renewal after the Second Vatican Council. In the spirit of Ignatius Loyola who sought the greater glory of God and the well-being of humankind, Arrupe championed a spirituality meant to engage the world rather than to retreat from it. His legacy is one of “men and women for others,” committed to human dignity, the common good, and the integration of lay men and women into the Jesuit mission — the service of faith and the promotion of justice. 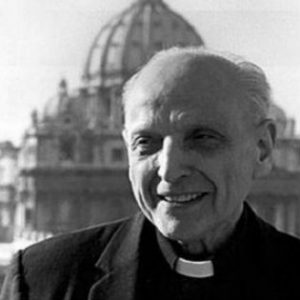 On July 11, 2018, the current Superior General Fr Arturo Sosa SJ announced: “We have formally begun the process of beatification for Father Pedro Arrupe.” May this decision bring fresh heart to all those who value our Ignatian tradition and strengthen our resolve to find God in all things.